Hide the entire UIBB dynamically in standard OVP FPM using exit. This is a very short blog on how to hide entire UIBB (Not just fields) in standard OVP FPM. 1) Go to the main floor plan page. 2) Right click on the Heading of any Collapsible Panel and select ‘Technical Help…’. 3) Click link named as ‘Component Configuration’. 4) Follow the following path: General Settings–>Floorplan Settings–>Application Controller Settings. 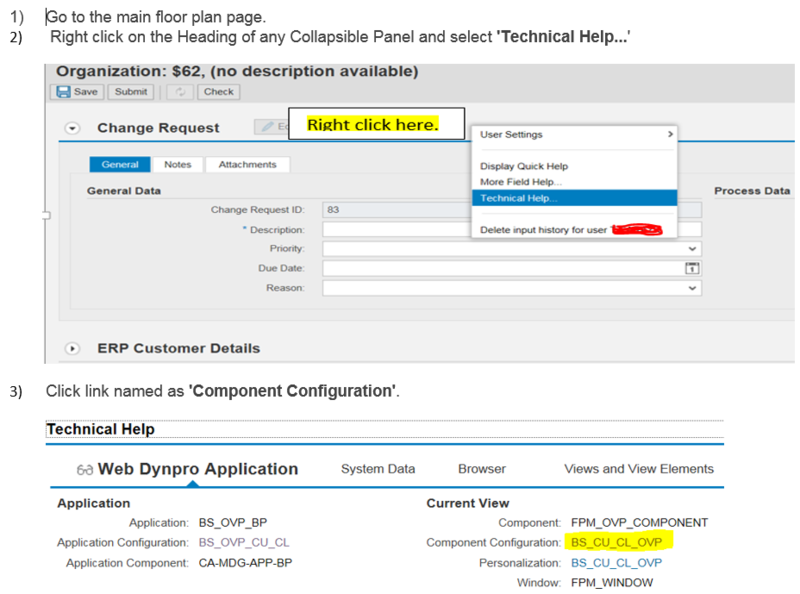 5) A pop up appears with the details of the Web Dynpro Component/Class and Configuration Name. 6) Go to TCODE SE80 and open the Web Dynpro Component. 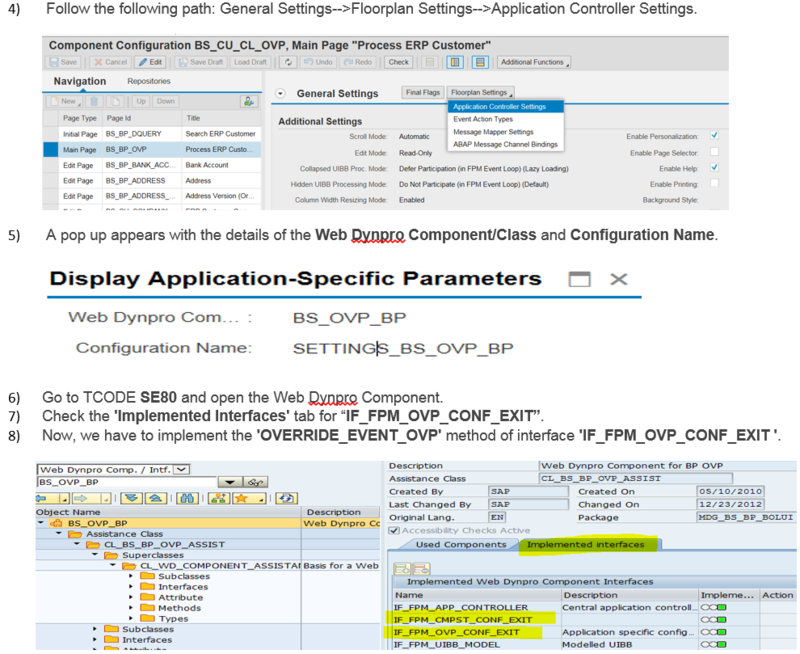 7) Check the ‘Implemented Interfaces’ tab for ‘IF_FPM_OVP_CONF_EXIT’. 8) Now, we have to implement the ‘OVERRIDE_EVENT_OVP’ method of interface “IF_FPM_OVP_CONF_EXIT”. 9) To do this, go to Assistance class and double click on the Method and add your logic.We enhance this Method by using Implicit Enhancement or by enhancing class and creating PRE/POST/OVERWRITE exits. NOTE: Please check the snapshots for details. io_ovp->get_uibbs( IMPORTING et_uibb = lt_uibb ). LOOP AT lt_uibb ASSIGNING FIELD-SYMBOL(<ls_uibb>). ***      the Floor Plan Page. the section ID lv_sec is not required in your sample code, as IV_SECTION is an optional parameter in method IF_FPM_OVP->CHANGE_UIBB.